Headquartered in Seattle, WA, Sirqul is an Engagement as a Service (EaaS) platform that empowers location-based startups, incubated companies, influencers, and brands to rapidly create dynamic mobile experiences and maximize customer participation and loyalty. Software embedded within devices via SDKs engage via mesh networks, indoor and outdoor geofences, and via the cloud to provide users and their operators to satisfy complex use cases, to monetize brand offerings in new ways, all while maintaining authenticity via non-intrusive product placements embedded within the experience itself. Sirqul has powered global brands such as Mercedes-Benz, Anomaly, and Taiwan's Far EasTone as well as key influencers to reach top positions in the US iTunes and Google Play App Stores, while also generating over tens of thousands of 5-star app reviews. 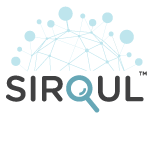 Sirqul's methods are quickly revolutionizing the ability of taking an idea to market rapidly, targeted mobile advertising and awareness campaigns, and are now are available for any startup or entrepreneur with an AWS account to run their own versions of the servers under their own account.